Love swimming but want to add some variety to your exercise routine? Try water aerobics! It’s a great way to enjoy the benefits of a strenuous workout without stressing or injuring your body! Not only is water aerobics a great cardio exercise, but it provides strength-resistance training that is gentle on your joints. The water’s buoyancy makes aerobic exercises, stretches, and other movements easier on your body, so you eenjooy a great workout with less pain. If you lead an active, energetic lifestyle and exercise regularly, you probably find that comes with aches and pains. This is a common problem for athletes of all levels from beginner to high-level athletes. Wondering why so many people are saying, “Ahh Townley?” Check out this video to see why everyone loves Townley! Ready to explore all that we have to offer? David and his two very special helpers have prepared a video just for you. Learn how to navigate the waters of the hotel swimming pool and stay safe doing it! If you’re traveling, here’s how to navigate the hotel pool with ease (and a bit of cleanliness!). Did you know Asa Hutchinson, the governor of Arkansas has proclaimed May National Water Safety Month along with the rest of the country? Wondering about a new grill for the spring grilling season? 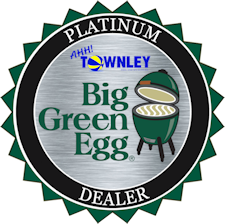 Check out why this grilling champion loves his Green Mountain Pellet Grill. He says they’re great for his wife and his daughter – even his little nine year old can come out and hit the button, and it’s a go! Professional pitmaster, Moe Cason of Moe Cason BBQ, on why he loves grilling and competing on his Green Mountain Pellet Grill. Whether he’s at home bbq’ing with his family or at the American Royal World Series of BBQ competing, his Green Mountain Pellet Grill is on the front lines of his grilling arsenal. It feels great to soak in a hot tub, and all of the hot tubs you’ve looked at are beautiful. So, how do you decide? Like many Americans, you may be struggling with your weight and looking for solutions. Perhaps you’ve tried a number of diets, and some worked for awhile, while others were just too difficult or too weird to maintain. Often times, though, it’s a number of things that work together to help you lose weight and keep it off. A hot tub is one such tool.